Consumer boycotts: The 18th-century sugar boycott that failed to stop American slavery. 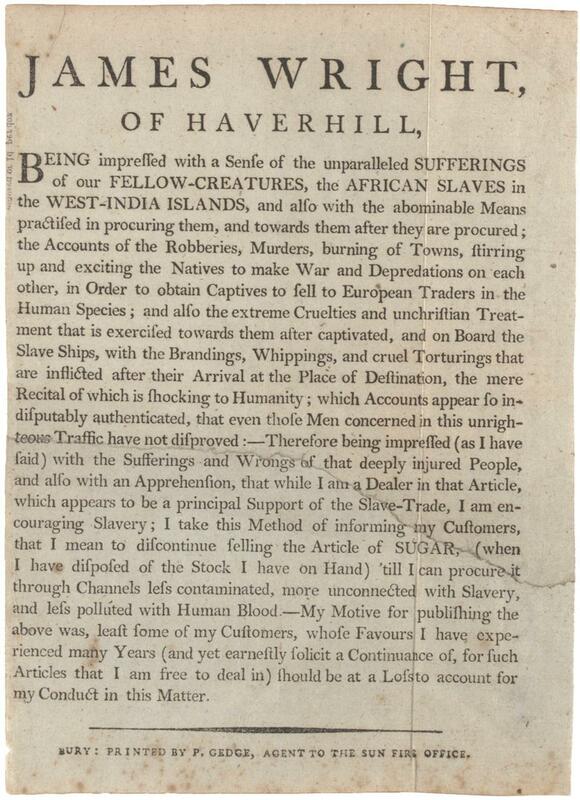 An English merchant published this broadside in 1791, explaining to his customers why he would no longer sell sugar from the West Indies. * The piece is now held in the Gilder Lehrman Institute of American History. James Wright had counterparts across the Atlantic; historian Wendy Woloson has found that some Philadelphia stores advertised their conscientious sourcing of groceries in abolitionist newspapers. But a full-scale boycott of sugar never caught on in the former Colonies.